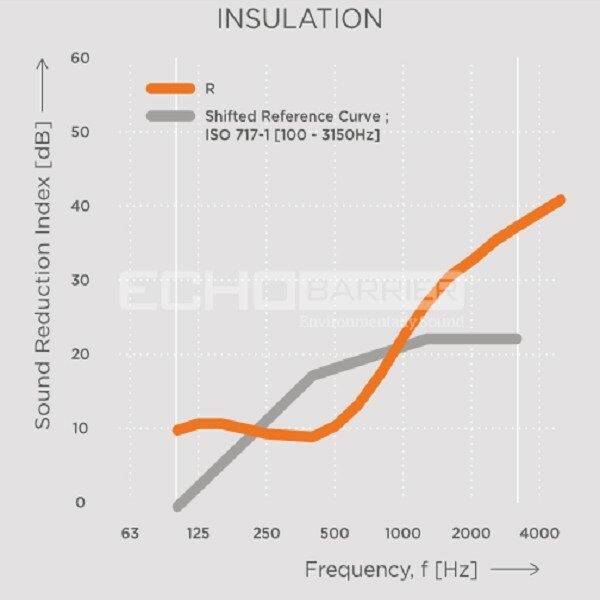 The Echo Barrier noise barrier is a unigue temporary acoustic barrier. It is used for controlling unwanted noise from construction activities, generators, HVAC, live events etc. Lightweight and robust with market leading performance. Available to Hire. 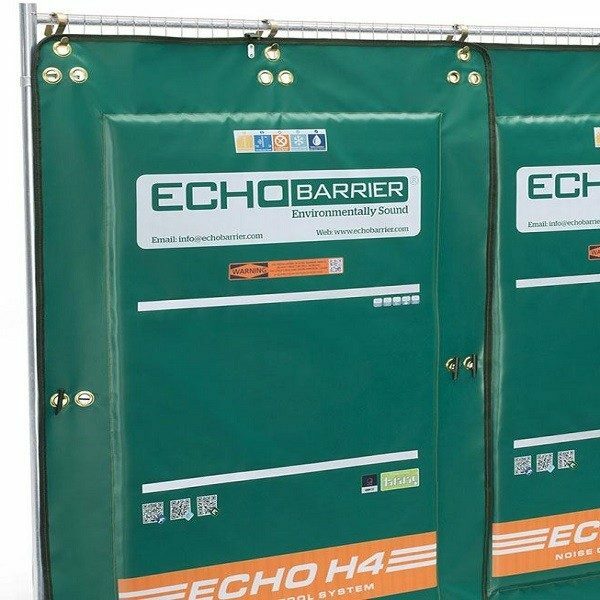 The Echo Barrier H4 is the most effective temporary noise control solution on the market. 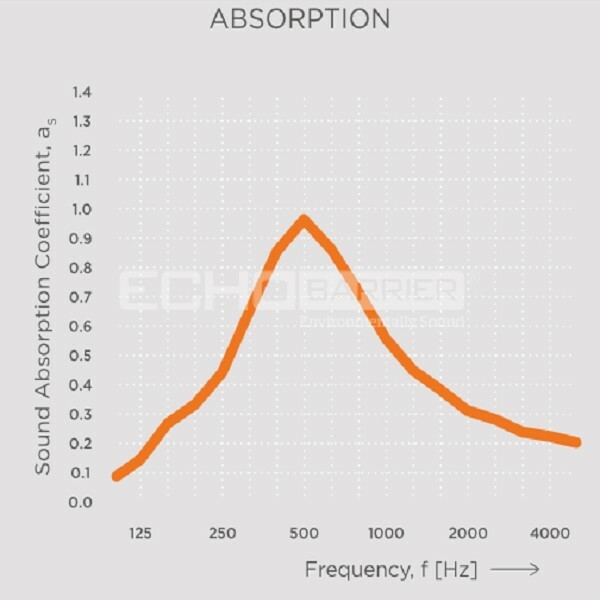 Our noise barriers were scientifically developed by a team of acoustic experts, Echo Barrier produces excellent sound attenuation and absorption — helping you to reduce noise pollution by up to 97%. 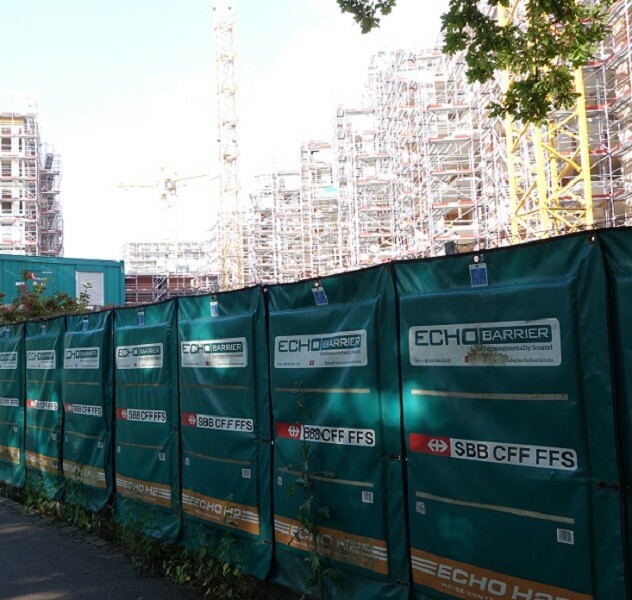 Echo Barrier H4 noise barrier is a lightweight, weatherproof, easy to install noise barrier that is built to last and is fire resistant to BS7837:1996. Echo Barrier’s flexibility allows you to create the ideal solution for your work site or location, whether you’re operating a construction, demolition, rail-works or public transportation site, or a live event. Available to Hire.